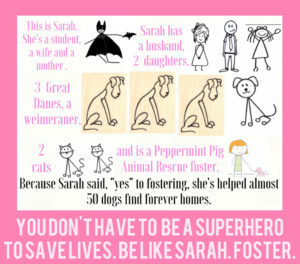 Why does Peppermint Pig Animal Rescue need foster homes? 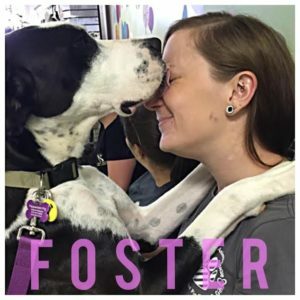 We don’t have a physical shelter and depend on foster homes to care for dogs until suitable homes are found. We may have puppies that are too young to be adopted and need a safe place to stay until he or she is old enough to go to a forever home. We may have a dog that is recovering from surgery, illness, or injury and needs a safe place to recuperate. We may have a dog that is showing signs of stress such as pacing or hiding and needs a calmer place to stay. We may have a dog that has not lived in a home before and has not had that much contact with people and needs to be socialized. We may simply be out of room! Freeing up a spot so we can rescue another dog. Helping us learn more about the dog so that he can end up in the best home possible. 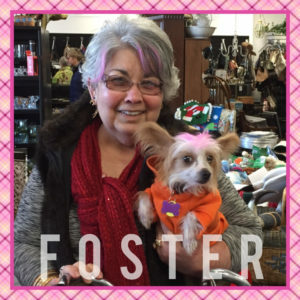 Fill out our online foster application.